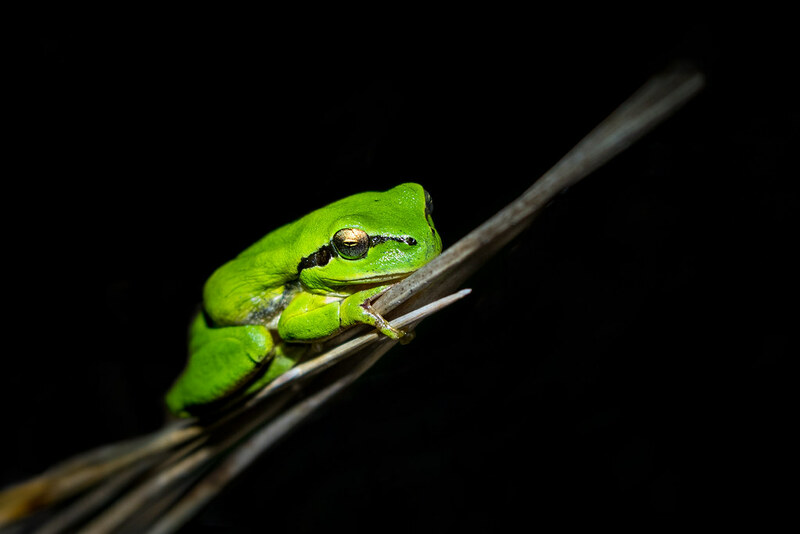 After finding the breeding spot for the Mediterranean Tree Frogs a few days ago, I decided that this months article for the Algarve Resident will be all about these little green guys. However, I also wanted to get a recording of them calling. So, it was Shoes and Socks off and back into the irrigation tank to capture some video, the dogs you can hear in the background are from a nearby house, it was because they could see the lights and movement. I also got a photograph of one sitting high in the grass which can be seen below the video (it’s also the cover photo for the YouTube Video). Congratulations on the photography. I have been waiting years to see, or even hear, one of those critturs. It was so loud, I would have expected it to be a bullfrog, or did it get amplified by the cistern? It’s a bit of both, the concrete walls does amplify the noise, this is also the cause of the reverberation of the sound. However, even though they are very small, the noise they make is incredibly loud. There are other breeding sites in the same area and you can hear these from a long distance. I believe the call can be heard about 2km away.